[0:00] <KiltedPi> Where do python modules go usually? [0:01] <ShiftPlusOne> have you checked if it's available though apt and installed it? [0:09] <KiltedPi> has anyone got pygame working? [0:09] <pksato> python3 and pygame to py3.3 are on Debian experimental (rc-buggy) tree. [0:10] <KiltedPi> Ah. how do i uninstall the thing and re-install 2.7 then? [0:10] <KiltedPi> How do you uninstall anything in linux in fact! [0:16] <KiltedPi> so i have the line "import pygame"
[0:18] <KiltedPi> whats the first line there, heh? [0:18] <tdy_> there are lots of magpi issues/examples.. which one are you looking at? [0:22] <Amadiro> KiltedPi, the "#!" line is required if you want to start the script as "./scriptname.py", it's called a "shebang"
[0:22] <Amadiro> If you don't have it, you have to start your program using something like "python2 scriptname.py" or "python3 scriptname.py"
[0:24] <pksato> Python code exemples on The Magpi tested on win7? [1:22] <Ademan> at present is there a way to access GPU memory? [1:29] <KiltedPi^> Think its a bug with 3.3? [1:29] <Ademan> KiltedPi^: how did you install pygame? [1:30] <Ademan> KiltedPi^: and you're using python 3.3? [1:30] <KiltedPi^> I get this BASH : "python pygame is already the newest version"
[1:30] <KiltedPi^> So its on there, ya know? [1:30] <KiltedPi^> But! I have a simple python program that simply says "import pygame"
[1:30] <tdy_> what? what did you type to get that message? [1:31] <KiltedPi^> what does that mean Ademan? [1:31] <tdy_> from the command line, type "python2"
[1:31] <KiltedPi^> What should I do? [1:31] <tdy_> and then from the subsequent prompt, type "import pygame"
[1:33] <KiltedPi^> It comes back with "No module found for pygame"
[1:34] <KiltedPi^> Whats the solution? [1:34] <KiltedPi^> Yeah python2 "command not found"
[1:35] <KiltedPi^> So- download python2? [1:38] <Ademan> KiltedPi^: what are they? [1:40] <KiltedPi^> okay, so it will work always, like find the module? [1:40] <KiltedPi^> Even if i run the file from my IDLE editor? [1:41] <KiltedPi^> Ademan wins the internet! [1:42] <KiltedPi^> I rly mean that! [1:42] <KiltedPi^> I'm wanting to learn this, so I can keep ahead of the curve after my friends kid moves on from scratch! [1:42] <KiltedPi^> So thanks from me, and 8 yr old Andy! [1:42] <KiltedPi^> Ademan, cheers! so much! [1:43] <KiltedPi^> lets do this! [1:52] <KillmeSoftly> just a quick question on the raspberry pi in general... does the heat ever become an issue, i can't imagine that it gets too hot especially since i'm not doing any major processing on it but have any of you found heat to be an issue?... i plan to turn mine in to a webserver so i need it on all the time..
[1:54] <Ademan> tdy_: do you have a DB on your pi as well? [3:15] <timmmaaaayyy> i just configured wifi on my pi, but it doesn't automatically connect after a reboot. any ideas why not? [3:18] <timmmaaaayyy> ok that's definitely what was breaking it....it works after a reboot without the wired connection. how do i fix that? [3:18] <Xeph> that depends on your configuration, of course. [3:33] * SpeedEvil grrrrs hard at android. [3:34] <SpeedEvil> my n7 is randomly losing IP connectivity to my network, while remaining associated. [3:52] <Torikun> anyone good with iptables? [4:01] <timmmaaaayyy> i'm trying to learn more about multicast.....does anyone know of an application that i can configure to start blasting out 1 or more multicast streams? [4:02] <KiltedPi> whats the BASH for safely shutting down my pi? [4:02] <KiltedPi> I've tried "sudo shutdown"
[4:03] <KiltedPi> but it wants a time, how do i make it indefinite? [4:03] <KiltedPi> A value of "-1"? [4:03] <Flexnard> you mean you want to shut it down right away? like shutdown now? [4:04] <KiltedPi> -p is power off? [4:06] <KiltedPi> I just entered "sudo shutdown now"
[4:06] <KiltedPi> okay to unplug then? i won't corrupt my SD? [4:07] <KiltedPi> but the screen is black apart from that. [4:08] <KiltedPi> think its worth checking? [4:09] <KiltedPi> Wouldn't be able to sleep knowing I knackered me SD! [4:11] <KiltedPi> I tried "XXXCommandExample --man"
[4:12] <KiltedPi> Learned some new stuff today! [4:12] <KiltedPi> I owe you a coke! [4:25] <timmmaaaayyy> anyone know if there are any multicast listeners for the ol pi? [4:37] <Grievar> elek: what shows up on the screen? [4:40] <KiltedPi> Win32diskImager does it. the program I loaded the OS with. [4:41] <KiltedPi> You starting up for the first time elek? [7:37] <Twist-> Okay, so I've never had a powered USB hub before.. but this seems odd. Should it be supplying power to the controlling computer? [7:37] <neirpyc> Twist-, as in powering the pi? [7:37] <Twist-> Yes. I pulled the USB power out and the thing stayed on. [7:40] <Twist-> rev2 had the mounting holes, yes? [8:49] <Twi7ch> hey, anyone here have experience setting up hostapd on Raspbian? [9:11] <retrosenator> why do some people have voice? [9:44] <retrosenator> i already know no one loves me what does that matter? [11:06] <ShiftPlusOne> Crenn-NAS, is that the hackerspace in hawthorne somewhere? [11:11] <Crenn-NAS> ShiftPlusOne: Yep! You're in Melbourne? [11:12] <ShiftPlusOne> looking at your other videos, what uni was that? [11:12] <Crenn-NAS> Swinburne University, it's actually just across the road from the hackerspace! [11:13] <Crenn-NAS> ShiftPlusOne: Been to any of the Melbourne RPi Jams? [11:13] <ShiftPlusOne> ah, makes sense. I am in RMIT, so not exactly on the way. [11:13] <Crenn-NAS> Which RMIT campus? [11:14] <Crenn-NAS> Ah ok, been to the Mid-Month Software Raspberry Pi Jam that's held there? [11:16] <ShiftPlusOne> Yeah, fair enough. [11:26] <flufmnstr> on a rev.2 board setting GPIO.setmode(GPIO.BCM) and using GPIO.setup(2, GPIO.IN) means the physical pin 3 becomes an input while under GPIO.setmode(GPIO.BOARD) GPIO.setup(3, GPIO.IN) would set the phsical pin 3 to input, right? [11:27] <gordonDrogon> morning pi peeps. [11:30] <gordonDrogon> muat make myself a 3D printer on day..
[11:42] <ryanteck> Hmm, Does anyone know if the pi does PWM? [11:43] <ryanteck> Completely forgot about PWM on the Pi. [11:44] <ryanteck> But with linux its a no? [11:44] <treeherder> gordonDrogon: why do i have to re burn my bootloader everytime i program the 328 using pi as ISP? [11:44] <Grievar> treeherder: ...you don't? [11:44] <Nebukadneza> mhh, say, does anyone of you use xbmc on the rbpi (namely raspbian), and maybe also has/had problems with webradio streaming, as in that the 10s buffer is soon "overplayed", so that it says "playing: 3:30 / 2:45" but doesn't play anything anymore? [11:44] <Grievar> treeherder: if you're using an ISP you don't need the bootloader at all? [11:45] <Grievar> treeherder: what do you mean "if I burn"
[11:45] <Grievar> treeherder: and you get a fuse error if you try to burn /what/? [11:46] <Grievar> treeherder: when do you get a fuse error? [11:46] <Grievar> treeherder: are you trying to program it from the arduino program? [11:47] <Grievar> treeherder: how is your 328 hooked up to the pi? [11:48] <Crenn-NAS> treeherder: Are you sure it's really a fuse error? [11:48] <Crenn-NAS> treeherder: I'll probably forget by then! [11:51] <Crenn-NAS> I need to get another MSP430 launchpad, the chips included with it changed later. [11:52] <ryanteck> How much are stepper motors? [11:56] <Crenn-NAS> ryanteck: How much voltage do you need? [11:59] <ryanteck> I think I'l keep to drills. 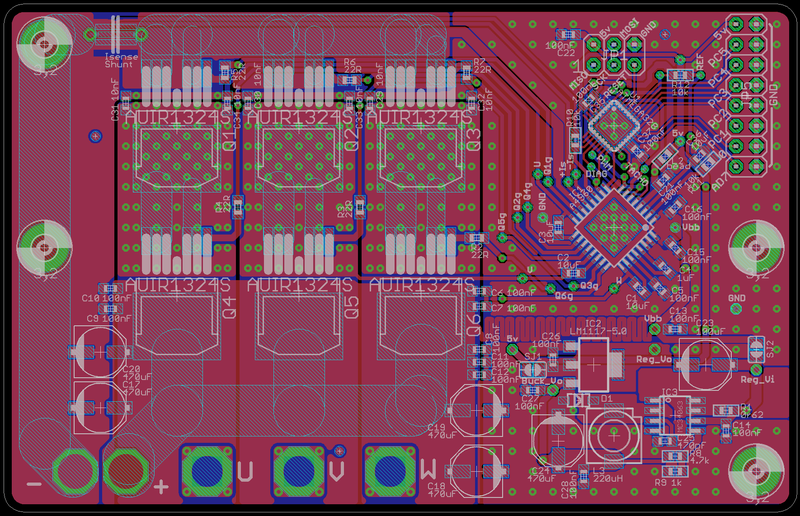 [12:01] <Crenn-NAS> Triffid_Hunter: Is that picasa picture of the actual ESC you built? [12:02] <Crenn-NAS> Hehe, make a new one? [12:02] <Crenn-NAS> Also, what is the chip in the BLDC next to the 328P? [12:16] <DenBeiren> when powered down by raspxbmc, how do i power the pi back on? [12:16] <DenBeiren> is it healthy to "not" let it power down? [12:18] <DenBeiren> and what about if it's overclocked? [12:21] <DenBeiren> meh, as long as it works, why overclock right? [12:22] <DenBeiren> but it seems that the pi itself is still in "workgroup"
[12:24] <martk100> I have asked before maybe someone can answer me. I need to find a suitable or typical .xml file for my touchsceen. [12:25] <martk100> I forgot to mention the file is for xbmc. [12:25] <gordonDrogon> software pwm is easily do-able under Linux - there is the softPwm module in wiringPi. It's OK for simple LEDs and motor control. [12:26] <gordonDrogon> there are better ways to do it in the kernel, or using a DMA timer thingy, but on userland it's acceptible. [12:29] <gordonDrogon> servos use a stupid variant of PWM and are much more fussy about jitter than LEDs or simple Dc motors. [12:30] <gordonDrogon> DO NOT use my softwareServo driver to drive servos... it will burn them out. [12:30] <gordonDrogon> there is a kernel module called servoblaster which I'm told is very good. [12:30] <gordonDrogon> alternatively just don't use RC servos. Motors of the devil, they are. [12:31] <gordonDrogon> Triffid_Hunter, they should have been binned 30 years ago IMO. 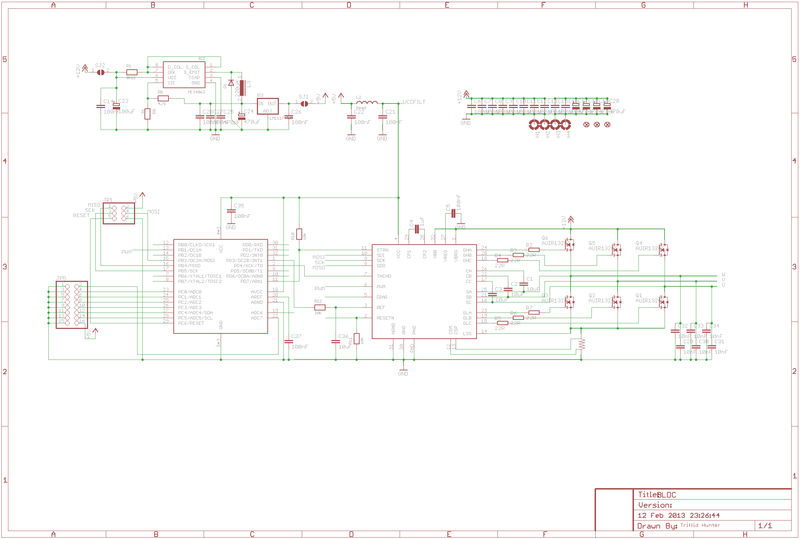 [12:32] <gordonDrogon> it's got one hardware PWM output. [12:33] <gordonDrogon> sure - 2.4GHz and many other frequencies, but the unlderlying protocols are the same. PPM, etc. [12:34] <gordonDrogon> So you get a situation where you Tx the PPM, it then gets decided by software in a micro on the craft, it's then re-encided into servi PWM, then it's picked up by an ESC and translated into burshelss DC motor speed. Gah! [12:35] <gordonDrogon> it's the number of encoding/decoding cycles going on that I was amazed at. [12:35] <gordonDrogon> Yes, I know exactly how they work - but what people are doing is taking new stuff and making it work with old stuff because "that's the way it's always been done". [12:36] <Crenn-NAS> gordonDrogon: Lead Balloon? Mythbusters time! [12:36] <gordonDrogon> not with the people in the project I was working on, but with the people in the RC community I talked to. [12:36] <gordonDrogon> sadly the funders pulled out, to the project was binned. [12:37] <gordonDrogon> they are.. but you need all the decoding and re-coding of the signals to make it all work. [12:37] <gordonDrogon> I was aiming for a control system that lacked "stick twiddling". [12:37] <gordonDrogon> push another maked "home and land" and it does that. [12:38] <gordonDrogon> mabe one day I'll resurect it all. [12:38] <treeherder> in an autonomous flgiht? [12:39] <gordonDrogon> manual in my world was more or less sending 'hints' to the on-board cpu's. [12:39] <gordonDrogon> a bit like flying an Airbus. [12:39] <Crenn-NAS> gordonDrogon: Augmented inputs? [12:40] <gordonDrogon> so your stick twiddling would be to e.g. keep it level, it would be to point it in a direction and fly that way. [12:42] <gordonDrogon> I'm still technically under NDA with the guy who's doing the project (and he might get funding again), but the aim was for high precision very high resolution photography of various building, etc. [12:42] <gordonDrogon> I don't like I2C as it's an overly complex protocol..
[12:43] <Tachyon`> what is the realistic limit for SPI? [12:44] <gordonDrogon> I'm running 32MHz off the PI's SPI and distance is about 5-6cm of PCB track..
[12:44] <gordonDrogon> 9600 is good fir very high level command - go north, stop, take off, land, etc. [12:45] <gordonDrogon> Yup. CAN is designed for noisy automotive appls. [12:46] <Crenn-NAS> Oh, you mean oscilliscope? [13:16] <SStrife> Old-world Macs user balanced RS-485 IIRC. [13:29] <SStrife> they used to just short the "RxD+" pin to ground. [13:41] <neirpyc> Hey all, I just installed Raspbian on a new card and was wondering how one goes about getting their WiFi dongle working. It works with Openelec when I punch in the needed data but I'm not sure where to go in Raspbian. [13:55] <Grievar> er, for I2C or SPI? [13:56] <Grievar> time between signal received and user responds... who is "user"? [14:09] <steve_rox> anything fun going on? [14:14] <steve_rox> video output plugin? [14:15] <Triffid_Hunter> chithead: nice, link? [14:15] <chithead> second hit on google for "mplayer omx"
[14:19] <jrtappers> Is it possible to run ubuntu on the raspberry pi? [14:19] <Grievar> jrtappers: depends on what you mean by "ubuntu". Is it possible to compile and run everything that makes up ubuntu on raspberry pi? Possibly. Binaries? nope. [14:32] * gordonDrogon is back. [14:36] <Maxou56800> I have a question... I want start a dhcp server on my rpi if no dhcp server is detected on my home network. Its possible? [14:36] <Maxou56800> If yes how? [14:37] <tkeranen> yes. install dhcp daemon and configure it. [14:41] <dwatkins> Maxou56800: I think you can give DHCP daemons a priority, so if there's another one it might take prescidence, not sure. [16:17] <DooMMasteR> narf is there a working way to blank the console when playing video via OMXplayer over the network? [17:11] <TomWij> ParkerR: You can pipe clear to the pty/tty. [17:44] <ShiftPlusOne> Anyone happen to know of any raspberry pi status page projects... just something you can throw on a web server and monitor ram usage and so on? Someone on the forum is asking, but I don't know any off the top of my head. [17:45] <Twist-> ShiftPlusOne: Something like Conky? [17:46] <ShiftPlusOne> perhaps like conky, but in a web page. [17:47] <ShiftPlusOne> I know there are lots of them out there, just can't find any. [17:50] <Twist-> ShiftPlusOne: Nagios? MRTG? [17:50] <mfletcher> Anyone got any advice on how to recover a corrupted sd card from a Raspberry Pi? [17:55] <ShiftPlusOne> There are lots of things you can try, but they are usually not worth the effort. [18:00] <mfletcher> Just better off to re-create the image then? Bah. [18:11] <gordonDrogon> what a funny old sunday afternoon. [18:17] <mfletcher> Yeah tried that still get errors. [18:26] <Armand> Reminds me.. I need around 576Ah @ 12v. [19:12] <ParkerR> Is it possible that it put the monitor into another mode? [19:13] <KiltedPi> I believe so! [19:13] <KiltedPi> What should I look for? Like a degauss option? [19:13] <ShiftPlusOne> KiltedPi, Only when moving towards the monitor at a very fast speed. [19:33] <SgrA> Can you use the RPi as a JTAG programmer/debugger? [19:37] <KiltedPi> Don't know what a JTAG is. [19:39] <Firehopper> sgra, maybe if there was linux software for arm to do so..
[19:40] * Firehopper yawns and waits for his rpi to finish upgrade. [19:40] <SgrA> Firehopper: How about OpenOCD? [19:40] <ShiftPlusOne> I don't think there is any hardware limitation that would prevent you from using rpi for jtag, but whether software is already available... I don't know. [19:40] <SgrA> Well, I found OpenOCD in Arch's repositories for the RPi. [19:41] <Firehopper> how do you check to see if your rpi is fetching time from the internet? [19:41] <SgrA> Well, now I know that there's no theoretical limitation. [19:41] <SgrA> Worth a try. [19:41] <SgrA> Are you on Raspian? [19:42] <Firehopper> not in x though.. I'm avoiding that for now..
[19:42] <SgrA> I'm not very sure, try ntpq -p.
[19:42] <Firehopper> I also wonder if I should try and get a bigger sd card..
[19:43] <SgrA> ShiftPlusOne: The first link looks interesting too. [19:44] <Firehopper> I'm running base raspbian, on a 4 gig card..
[19:44] <SgrA> Worth a shot now, instead of looking for something like Riffbox. [19:45] <Firehopper> I'm also pondering getting a controller board for my unused 17" laptop lcd I have lyin around..
[19:46] <rikkib> SgrA, I use JTag and OpenOCD for my STM32V but on X86. I doubt the RPi is capable of running the Eclipse/OpenOCD combination I use. [19:50] <rikkib> Perhaps OpenOCD will work by itself. [19:52] <SgrA> I'll have to read up again, its my first go at JTAG too, but going by OpenOCD's description in the repos, it looks good. [19:52] <SgrA> Its available in the Arch repos for for the RPi. [19:52] <SgrA> So I won't have to compile it either. [19:52] <rikkib> What micro are you using? [19:55] <SgrA> My goal was to use the RPi itself to interface with my phone, should I manage to brick it. [19:59] <KiltedPi> What is it you want to do SgrA? [20:00] <SgrA> I'll be playing with bootloaders, etc, on my phone so there's a good chance that I'll mess something up. 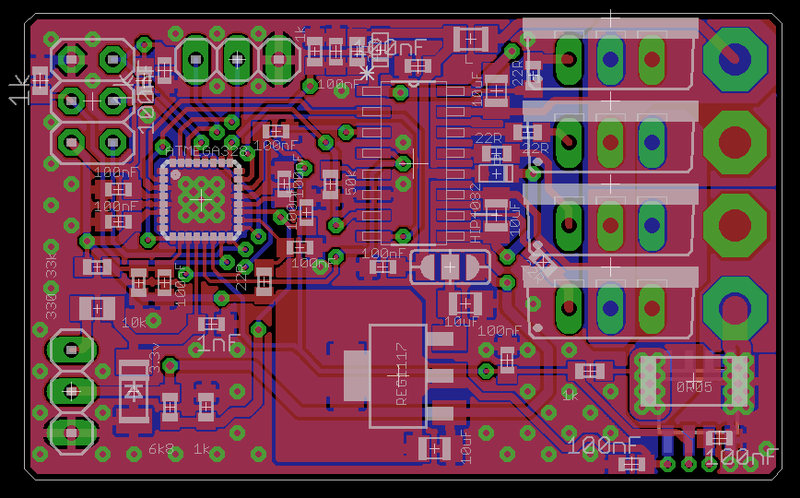 [20:01] <SgrA> Getting a RIFF JTAG box for $150 doesn't sound like any idea, and I guess trying something out myself would teach a lot. [20:05] <Firehopper> how do I fix this? [20:07] <Firehopper> so sudo apt-get update? [20:15] <Firehopper> it says moved..
[20:17] <KiltedPi> FireHopper, you new to all 'this' too? [20:18] <KiltedPi> It sounds silly, but have you got an internet connection through a wireless dongle? [20:18] <Firehopper> I've messed with linux in the past..
[20:18] <KiltedPi> Like, a dongle plugged into your pi and stuff? [20:18] <KiltedPi> And you managed to connect okay? [20:18] <KiltedPi> Like, you can open a web browser okay? [20:18] <KiltedPi> with midori or chrome or whatever? [20:19] <Firehopper> gonna run ShiftPlusOne's new command..
[20:19] <Firehopper> havent tried web yet..
[20:19] <KiltedPi> I mean, test your internet is working yeah? [20:21] <KiltedPi> This is what I learned yesterday incidentally! [20:21] <KiltedPi> pksato, the ultimate buzz killer! [20:22] <pksato> wget ant apt-get are differet tools. [20:22] <ShiftPlusOne> KiltedPi, with linux, it's not a good idea to make stuff up and then teach it to people. [20:23] <frikinz> KiltedPi: apt-get indeed downloads the package but it also solves dependencies and downloads them. it then configures them and installs them. roughly..
[20:23] <pksato> And, aptitude is a debian tools. Not "linux". [20:25] <ShiftPlusOne> I threw a bit of matlab in there for variety. [20:25] <Firehopper> so is a 4 gig card plenty for me for now? [20:26] <ShiftPlusOne> depends on what you want to do, but yeah. [20:28] <Firehopper> and I think I have internet access if the script is pulling things down with git..
[20:37] <ShiftPlusOne> I am surprised it worked tbh, but yay. [20:43] <ParkerR> Firehopper, What was not working? [20:59] <jfmherokiller1> asm on the pi anyone ? [20:59] <KiltedPi> Fifty billion slot cards. [21:00] <KiltedPi> Just to type this is requiring seven hundred IT engineers..
[21:01] <KiltedPi> from the radiation like. [21:01] * Firehopper laughs. I ran a BBS on 640K memory a long time ago ..
[21:02] <Firehopper> now lets see if I can get get to my pi via the pc..
[21:02] <KiltedPi> find out for myself. [21:02] <KiltedPi> You KNOW IT. [21:03] <KiltedPi> micro space ships. so cool! [21:05] <KiltedPi> How would I retrieve the data tho. [21:07] <KiltedPi> Hah! I doubt there will be coverage up there tho! [21:07] <KiltedPi> Up there WITH the satellites!!! [21:12] <Firehopper> and theres a board revision e? [21:13] <ShiftPlusOne> the 'revision' as reported in cpuinfo includes more information, for example, what factory it was made in and how much ram it has. [21:13] <Firehopper> and how can I read that info? [21:16] <ParkerR> Ahh "Rev2 Model B, 512MB RAM, Ethernet, two USB sockets, five LEDs, mounting holes, Pin3=GPIO1, Pin5=GPIO2, Pin13=GPIO27, 12C-1, 8 extra IO pads (P5)"
[21:18] <Chetic> is it supposed to be possible to turn _on_ the TV through HDMI-CEC? [21:18] <ShiftPlusOne> Chetic, if your tv supports it, yes. [21:19] <Martin`> is it also possible to change tv to a other channel? [21:19] <Martin`> or only the channel where the hdmi device is? [21:20] <ShiftPlusOne> ah, well then it's moot anyway. [21:26] <Martin`> why is the gpio pin on my pi only 3.8v instead of 5v? [21:28] <pksato> 3.8V on pin 2 and 4? [21:28] <|Jeroen|> aren't they just the power ? [21:28] <ShiftPlusOne> I'd say make sure that you're looking at the right pins. [21:28] <pksato> Martin`: and TP1 to Tp2? [21:29] <ShiftPlusOne> yeah... I am pretty sure tp1 is electrically the same as the 5v pin, so if there's a difference, you may have broken physics. But I'd need to check the schematic to make sure. [21:30] <KiltedPi> What you guys powering? [21:30] <KiltedPi> With those pins? [21:30] <ShiftPlusOne> I think you're not looking at the right pins. [21:30] <ShiftPlusOne> KiltedPi, you can power the pi itself through those pins. [21:30] <Martin`> ShiftPlusOne: how about the r1? [21:31] <Martin`> I believe you can not power a rev 1 via the pins? [21:32] <Martin`> but then the 5v pin needs the be the same as the input or not? [21:34] <Martin`> then my adapter is only giving 3.8v? [21:34] <|Jeroen|> does it run ? [21:34] <pksato> whith 3.8V, RPi not work proper. [21:34] <mjr> Chromium-browser works surprisingly well on the pi now I got around to trying. Not snappy, but not horrible either. [21:34] <|Jeroen|> even the nic? [21:34] <ShiftPlusOne> so I think you're not looking at the right pins. [21:34] <Martin`> using 1/2 and 3? [21:38] * djazz is listening to spotify on his rpi! [21:38] <djazz> without despotify etc..! [21:58] <djazz> what is the best cli youtube player for the pi? [22:01] <ShiftPlusOne> Ah, then you know more about it than I anyway. [22:44] <ldionmarcil> hey. Anybody tried setting up a google music uploader/manager on their pi? [23:08] <ldionmarcil> a real world use for lambda functions? [23:12] <gordonDrogon> oddly enough I never had any issues with pointers in C.
[23:12] <gordonDrogon> when I started. [23:13] <gordonDrogon> done any assembly programming? [23:29] <_ember> did someone implement complementary filter fo accylerometer and gyroscope? [23:48] <SpeedEvil> well, either you get it, or your head explodes. [23:48] <SpeedEvil> either way, problem solved. [23:48] <SpeedEvil> what are you trying to do? [23:48] <SpeedEvil> and do you Aldo have a compass? [23:51] <_ember> but complementary gets angles calculated form acc measures, am I right ? [23:51] <SpeedEvil> you can have a rotating vector spun around by the short term gyro inputs. [23:51] <SpeedEvil> then you average this for 30s.